“It was important for us to make sure that this campaign was about the issues and we didn’t get into the mud-slinging that you normally see," he said. 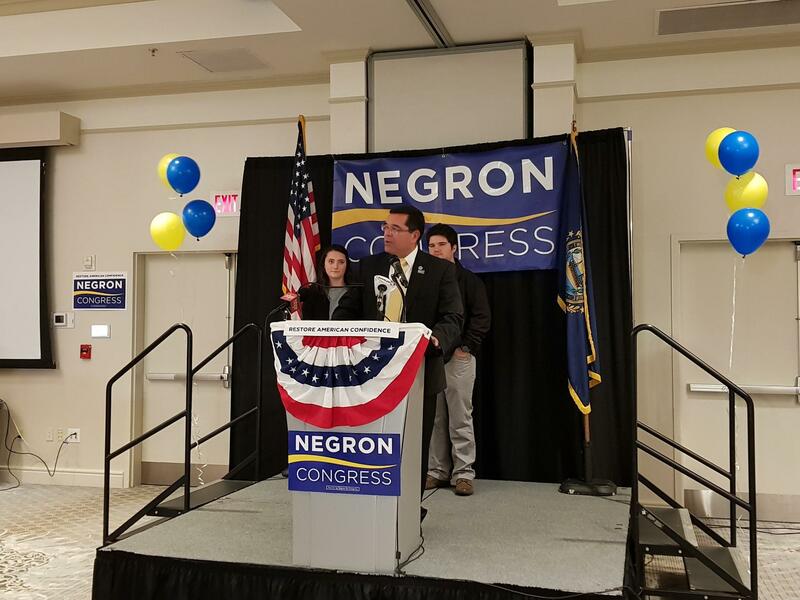 Negron also said that with Democratic wins in the state, this is a time for the Republican party to reflect on what they can do better for 2020. "You know there are some things we didn't anticipate," he said. "I think the people have spoken in the state of New Hampshire to figure out how we get those people back into the ranch." 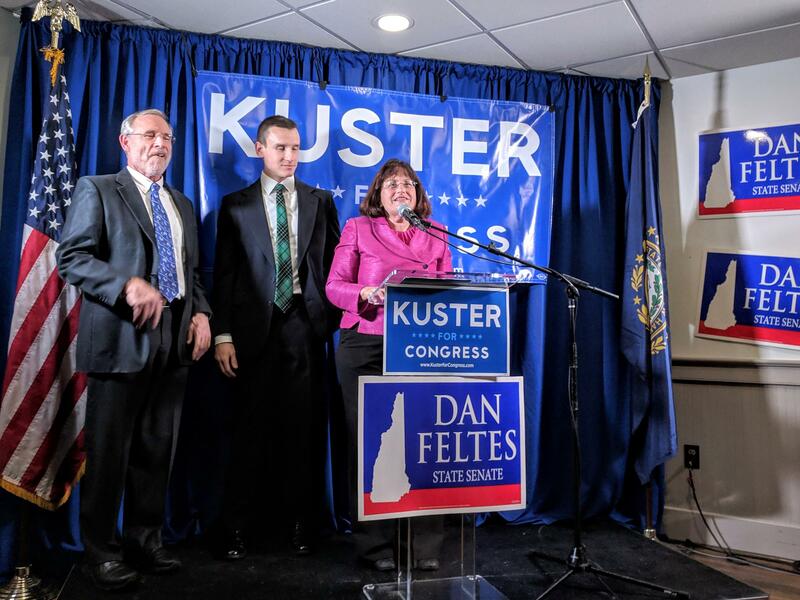 Kuster will now head back to Congress for her fourth term -- a historic winning streak for Democrats in the 2nd district. But it will be the first time she’s been in Congress with a Democratic majority, a situation that could create new political challenges down the road. Supporter Dan Moran said he wants Kuster to serve in the new Democratic majority as a check on President Donald Trump. Or perhaps as even more than just a check. But holding the president’s feet to the fire could prove an uncomfortable balancing act for Kuster, who ran on her bipartisan, moderate credentials. That was a theme she returned to her in her victory speech. How Kuster adapts that new approach to the new power dynamics in Washington will be just one of the challenges she faces in her new term in Congress. In New Hampshire’s 2nd Congressional District, Democratic incumbent Ann McLane Kuster and Republican Steve Negron are busy making their final cases to voters. Tomorrow, we’ll hear a story about how Congresswoman Kuster is navigating the political waters as an incumbent Democrat this midterm. Today, NHPR reporter Jason Moon joins me to talk about her Republican opponent Steve Negron. This midterm election, Democrats across the country have high hopes for a blue wave. Many are tapping into voters’ frustrations with President Donald Trump. But in New Hampshire’s 2nd Congressional District, Democratic Congresswoman Annie Kuster is taking a different approach. Democratic Congresswoman Annie Kuster says if she is re-elected, her proposals for healthcare in New Hampshire, including a plan for Medicare expansion, will increase access and stabilize health insurance markets. All Things Considered Host Peter Biello spoke with Kuster, incumbent in the 2nd Congressional District, on healthcare policy. All Things Considered is speaking with all Congressional candidates this week.